Header image by Stephanie Boutari. Reset (detail) 2018, overlay on New Balance product. What happens when the blank canvas for an artist is a new pair of white runners? 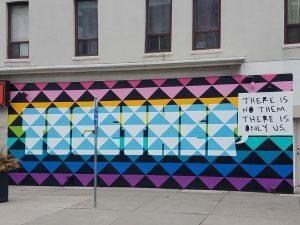 As part of the Yonge + St. Clair BIA’s programming for the DesignTO Festival, New Balance Yonge Street is excited to host seven emerging Toronto-based artists as they reimagine the look of New Balance. These one-of-a-kind works will be auctioned during DesignTO week, January 18-27 during store hours at New Balance Yonge Street. Bid on your favourite pair in support of local charitable arts organization, The STEPS Initiative. From sculptural to functional, these kicks will pull influence from street art, sculpture, design and fashion. The STEPS Initiative is an award winning charitable organization that bridges culture, community and city-building by animating unlikely spaces with unlikely partners. We seek to inspire cities across Canada and around the world to create welcoming public spaces that reflect and celebrate local community through artistic excellence. The funds raised during this auction will support our STEPS.Talent pillar which cultivates local talent through training, exhibition, production, mentorship and equitably-paid embedding learning opportunities for local emerging artists throughout our many projects. Jieun June Kim is a Toronto based, Korean-born painter and muralist. She has exhibited her paintings around the world since 2010, and painted murals since 2017, exploring the idea of “home” and creating safe space. 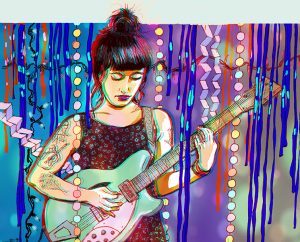 Laura Elliott is a DJ and illustrator who continuously explores the relationship between art and music through vibrant and detailed drawings which utilize traditional as well as digital drawing techniques. Stephanie Boutari is an artist and muralist with a background in architecture. 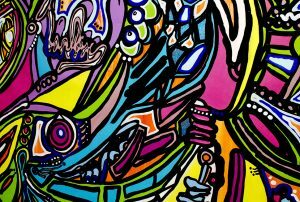 She started painting murals while completing her MArch degree at the University of Waterloo in 2014. After graduating, she worked full-time as a designer for a few years while painting murals whenever she could. In June 2017, she left her job in architecture to pursue art full-time. Anya Mielniczek is a Toronto based artist whose work explores combinations of fine art and street dirt mediums within installation and mural work. 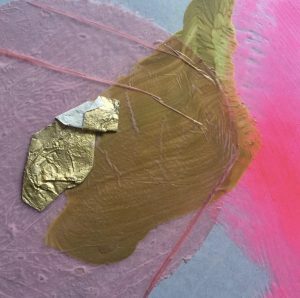 The artist’s practice is experimentally charged and intuitive, playing between an organically loose and raw aesthetic – inspired by garbage, time & place, human consumption and love for nature. Bareket Kezwer is a muralist, curator, and eternal optimist. Her work is motivated by a desire to spread joy, cultivate gratitude, and foster new social interactions. 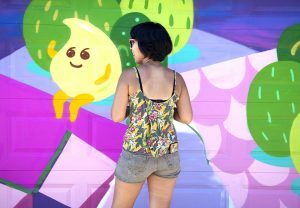 She is passionate about creating art that both aesthetically and psychologically brightens the streets and works to build a community around positive living. She is an inquisitive, adaptive and active urban resident dedicated to making Toronto more socially inclusive. Stephanie Bellefleur is a Contemporary Visual Artist who was born in Venezuela, South America. She has created for Street Art Toronto, Facebook, Skechers, K-Swiss, and Baycrest Foundation. Stephanie ’s high impact projects include contributing to the 8-story Phlegm mural at Yonge and St.Clair. 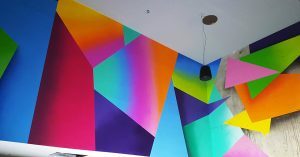 Most recently, Stephanie contributed to the unique 23-story “Equilibrium Mural” alongside International Muralist, Okuda San Miguel. Katrina Canedo is a Filipino-Canadian artist and live painter currently based in Toronto. Her works often utilize a vibrant/colourful palette to reflect the complex stories all of us possess from a visually contemporary lense. 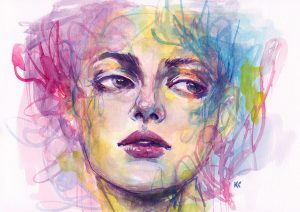 Through her art, she hopes to inspire others to also share their own colourful stories.